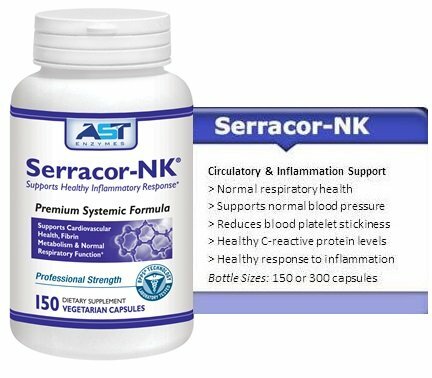 Serracor-NK is a powerful blend of enteric-coated serrapeptase and nattokinase, systemic enzymes studied for their fibrinolytic properties, with antioxidant herbs, CoEnzyme Q10 and magnesium. 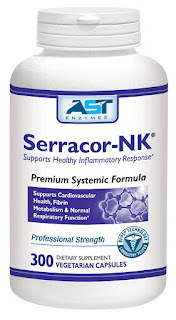 Serracor-NK supports a healthy circulatory system and normal fibrin metabolism. 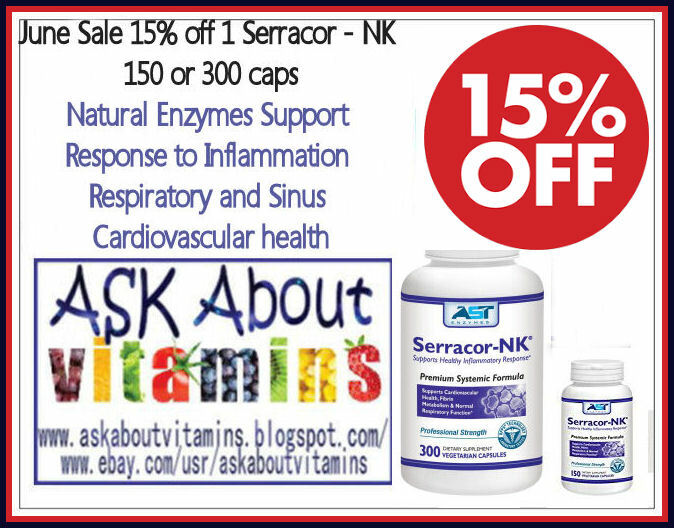 Supports the body’s natural response to inflammation including respiratory and sinus, and cardiovascular health. Nattokinase is a fibrinolytic enzyme derived from soybean fermentation. A traditional Japanese food called natto, often eaten at breakfast, is made by fermenting soybeans. Published studies have shown that chronic inflammation happens when you have a lack of exercise and poor diet. 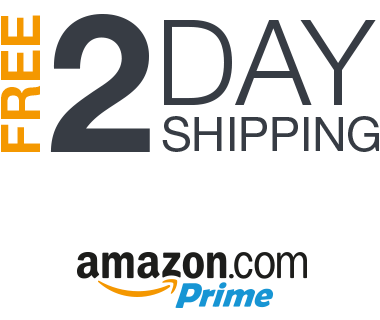 Both lead to high risks of increased blood clots and poor blood flow. Lack of blood flow to an organ can lead to further debilitating chronic inflammation or even heart attack. You must have proper blood flow to your heart. Natural enzymes aid and assist the proper blood flow. 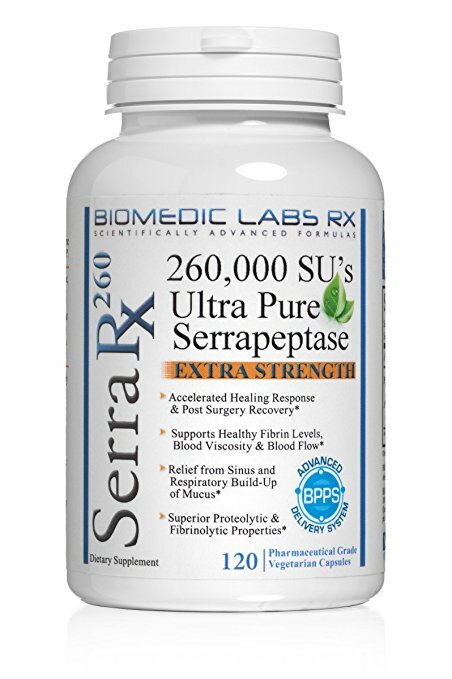 This is a vital process that can be optimized with natural active dietary supplement enzymes and nutrients. Excess fibrin in the body can do more harm than good. A high level of circulating fibrin has the potential to accelerate scarring, increase clot formation and impede normal blood flow. 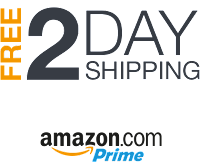 This can cause issues leading to cardiovascular dysfunction. 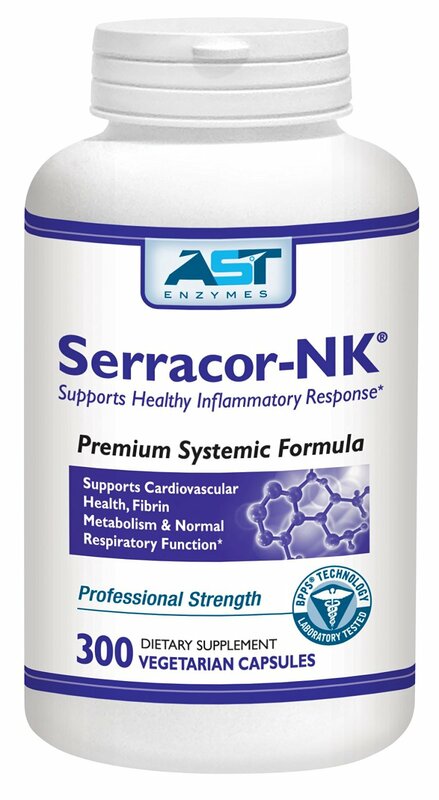 The combination of serrapeptase and nattokinase used in addition to a complete array of proteolytic enzymes, makes Serracor-NK a unique blend designed to support maximum circulatory health.